This Wall Street Firm Is Betting Big on Main Street. Why? 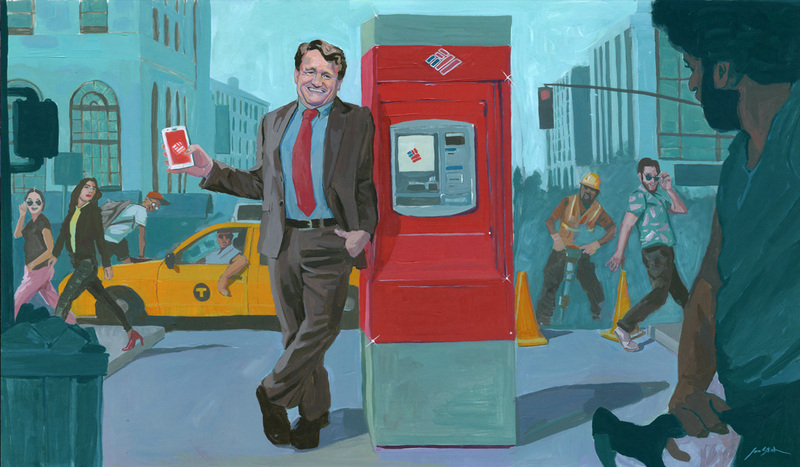 Making retail banking cool (and insanely profitable) again at Brian Moynihan’s Bank of America. Brought back to life, Willie might have trouble locating the cash in the modernized Bank of America branches that are sprouting on Main Streets across the country. Poor Willie is greeted in the lobby by a “digital ambassador” extolling the virtues of the bank’s mobile app. He then finds himself in front of an ATM operated by a smartphone. Wandering past cubicles devoted to wealth management, mortgages, and business loans, the bank robber finally spies a trio of tellers hidden in the back of the branch. There’s not much of a line because only a quarter of deposits and even fewer withdrawals are made at teller windows. Still, tech-challenged Willie is lucky he didn’t walk into a “virtual center,” a Bank of America branch where visitors can connect with human staffers only through video screens. And — the unkindest cut of all — there is no vault on the premises. Bank of America is leading the way in reinventing consumer banking. Like its peers, it juggles a high-touch, bricks-and-mortar Main Street past with a high-tech, digital new world. It shutters old branches, refurbishes others, and opens new ones. It continually adds functions to its state-of-the-art mobile app, hoping to turn on millennials without turning off baby boomers. Its balance sheet has never looked better. Deposits are surging, operating costs are plunging, and profits are soaring. But with his bank’s main rivals — JPMorgan Chase, Wells Fargo, and Citigroup — only steps behind in the high-tech-yet-high-touch race, chairman and CEO Brian Moynihan can’t break stride. “We need to continue investing in both technology and new branches,” says Moynihan, 58, in an exclusive interview with Institutional Investor. Before the financial crisis erupted a decade ago, retail banking was a bore. Big firms like Bank of America looked on their consumer operations as a source of cheap funding for the sexier realm of investment banking and capital markets activities. Under Moynihan that formula has been turned on its head. Bank of America’s commercial banking operations and the Merrill Lynch wealth management division remain powerhouses. But they are expected to lure their clients over to the consumer bank, clearly the star driver of growth and profits in recent years. Consumer banking accounts for more than half of Bank of America’s deposits, the lion’s share of loan growth, and almost four of every ten dollars in net income. Propelled by its consumer activities, the bank rang up its best-ever first half in earnings this year. Only JPMorgan Chase is larger in terms of assets, market valuation, and profits. Whatever possible headwinds Bank of America faces in the months ahead are shared by the whole industry. They include the threat of trade wars and fears that a falling yield curve on Treasuries might presage a recession. Further down the road, some analysts warn, Bank of America could be overexposed to consumer banking and too tied to the domestic market, which accounts for the overwhelming majority of revenues. But Moynihan makes no apologies for taking full advantage of the booming U.S. economy. “We have a big market share of the biggest economy in the world,” he notes. It took a lot of hoeing before the green shoots emerged. In Moynihan’s first five years, the bank lost more than $130 billion in loans that were repaid late or written off. More than $60 billion was spent on litigation costs. And a third of the bank’s 302,000 headcount was lopped off. Some $85 billion of noncore assets, including stakes in BlackRock, China Construction Bank, and Grupo Santander, were sold. Instead of wooing new clients, Bank of America focused on keeping its most creditworthy customers in wealth management, corporate lending, and, especially, consumer banking. Likely credit card deadbeats were turned away. Delinquent mortgage holders were cut loose. And reliable clients were nudged online or enticed into updated branches. AT THE HEART OF THE CONSUMER STRATEGY is a rethinking of the role of branches. Configuring a branch network in the aftermath of the financial crisis has not been an exact science. Over the past decade U.S. lenders have closed some 3,900 bank branches, with Bank of America alone shuttering more than 1,600. Commercial leases and employee salaries at branches in less profitable locations were deemed too expensive. And even at money-making branches, there were onerous paper expenses — paper statements, paper checks, paper processing. ATMs were cheaper, but needed constant servicing. By moving tasks to smartphones, operational expenses were brought down dramatically. “Today the mobile app handles as much volume as 1,800 of our branches did five years ago,” asserts Dean Athanasia, Bank of America’s co-head of consumer banking. But predictions that digitization would render branch networks obsolete haven’t panned out. Millennials love high-tech. But young families and baby boomers still want high-touch banking — meetings with specialists at branches for advice on mortgages, college financing, investments, and retirement planning. And then there are tech-resistant troglodytes — about a tenth of retail clients — who insist on written statements by snail mail. “That’s hugely costly, by the way,” says Athanasia. He doesn’t offer a figure for Bank of America, but estimates that snail mail accounts for 1 percent of total costs for the banking industry. Because of this varied clientele, the current strategy for consumer banking embraces a more sophisticated expansion of branch networks. Old branches are being renovated to allow for more digitization and fewer on-site employees. New branches are being opened in the most lucrative metropolitan markets. And the process of coaxing clients of every age over to mobile banking continues. Thus far, Bank of America has mastered this kind of strategy better than its peers. “Their branch network is really a thing of beauty,” says Betsy Graseck, a Morgan Stanley analyst whose research on big-bank branch rivalries is often cited by fund managers. JPMorgan Chase must build up its presence in key Northeast markets like Boston, Philadelphia, and Washington, D.C. Wells Fargo has important gaps in the Midwest. But Bank of America’s 4,411 branches are in all major metropolitan areas. And over the next four years, the bank will open 500 new branches in nine markets deemed to be among the fastest-growing centers of affluence, including Denver, Indianapolis, and Salt Lake City. Not all branches are created from the same cookie mold. Many of Bank of America’s 300 branches serving university campuses are decorated in team colors — blue and gold for UCLA clients, for instance. The branch at Apple headquarters makes sure to quickly offer the latest apps. And the bank is experimenting with 25 virtual centers in which clients communicate by video screen with financial specialists normally encountered in branches. IT’S ALL LIGHT-YEARS AWAY from Bank of America’s founding in San Francisco in 1904 as a lender, mainly to Italian immigrants. When the Great Earthquake of 1906 struck the city, the bank’s staff rescued clients’ deposits from the fires that incinerated holdings at most other financial institutions. Within days, Bank of America extended its reach by doling out construction loans to businesses and homeowners. Over the next eight decades, its branch network spread across California and turned the bank into the state’s dominant financial institution. It was only in 1983 that Bank of America ventured beyond California. But as a result of a dozen mergers and acquisitions over the next quarter-century, it became the country’s largest bank in terms of deposits. The biggest merger of all came in 1998, with NationsBank — based in Charlotte, North Carolina — which became the new headquarters for Bank of America. Another merger, with FleetBoston Financial, brought Moynihan into the fold in 2004. After earning a law degree at Notre Dame, he spent several years at a Providence, Rhode Island, firm before joining Fleet as deputy general counsel. Moynihan switched to financial services, rising to the leadership of Fleet’s brokerage and wealth management division and of mergers and acquisitions. “He had a tremendous ability to grasp and process detail,” recalls Robert Hedges, now a partner at management consulting firm A.T. Kearney, who first met Moynihan in 1995. At the time, Fleet had just acquired Hedges’ employer, Shawmut Bank, and Moynihan contacted Hedges to discuss how the two banks would be merged. When Hedges walked into the meeting, he was startled to see that Moynihan had already mapped out on a whiteboard some 150 proposed steps to smooth the merger. The next two hours were spent on minor changes. “And that became the plan,” says Hedges. Moynihan arrived at Bank of America in the heady years before the financial crisis, when its ambitious chief executive, Kenneth Lewis, was seeking to transform it into a global powerhouse. Not even the onset of the crisis curtailed the bank’s appetite. With the purchase of virtually bankrupt Countrywide Financial in July 2008, Bank of America gained control of almost a quarter of the home mortgage market. Only two months later, Bank of America became the world’s largest financial services company with the acquisition of investment firm Merrill Lynch, which also was near collapse. Those two badly timed acquisitions imperiled Bank of America. The Justice Department charged Countrywide with fraud and discriminatory lending practices. Merrill, whose acquisition was announced the same day that Lehman Brothers filed for bankruptcy, ran up a $21.5 billion operating loss in the last quarter of 2008. Bank of America’s market capitalization plunged to $45 billion, losing $108 billion in valuation in the four months after the deal for Merrill was disclosed. To stay afloat, the bank accepted $45 billion in government bailouts, which it repaid by the end of 2009. Lewis was forced to resign; Moynihan replaced him as chief executive of Bank of America in 2010. Moynihan had impressed the bank’s board by turning around Merrill as its chief executive after the investment firm was acquired. But restoring the rest of Bank of America to health would prove far more arduous. There were stumbles galore. Moynihan lost some credibility by announcing in 2011 that Bank of America had no need to raise more capital — and then accepting a $5 billion infusion from Warren Buffett. (Today Berkshire Hathaway is the bank’s largest shareholder). A few months later, Moynihan had to rescind a misguided scheme to charge a $5 monthly fee to debit card users, which led to a 20 percent rise in account closures in the last quarter of 2011. At the 2012 annual shareholders’ assembly in Charlotte, Moynihan was besieged inside and outside the auditorium by investors angered by the bank’s collapsing stock price and demonstrators furious over shoddy mortgage-servicing practices. INVESTORS BECAME CONVINCED ONLY in the second half of 2016 that Moynihan’s broader initiatives to bring costs under control, weed out risky clients, raise deposit levels, and invest in technology were bearing fruit. Over the past two years, the bank’s price-to-book value has doubled, to 1.3. And investors’ patience was further rewarded this year with the announcement of $20.6 billion in share buybacks — only a fraction less than JPMorgan’s $20.7 billion. Other factors also impress investors and analysts. Bank of America has improved its operating leverage — the ratio of expenses to revenues — for 14 straight quarters. “No other bank can boast that,” says Mark Conrad, portfolio manager at Algebris Investments, a financial sector–focused hedge fund. The bank’s overall ratio of expenses to revenues is 59 percent, slightly behind JPMorgan’s 58 percent. At Bank of America’s consumer banking division, operating leverage is an eye-popping 48 percent. And senior executives expect the cost-cutting to continue. “I would be stunned if expense containment doesn’t remain front and center at this firm,” says Thomas Montag, the bank’s chief operating officer. Cost reduction has been the major driver of earnings growth in the consumer division and a huge contributor to the bank’s bottom line. In the first half of 2018, Bank of America got off to a record annual start, with $13.7 billion in net income, and should easily exceed 2017’s full-year earnings of $18.2 billion. Market leader JPMorgan Chase earned $17 billion in the first half of this year, and $24.4 billion in annual net income in 2017. Bank of America’s ability to gather in deposits has been another key element in earnings growth. The financial crisis and the recession brought on a decade of near-zero interest on deposits, with Bank of America paying among the stingiest rates — 0.38 percent for U.S. interest-bearing deposits at the end of the last quarter. That translates into fatter net interest margins on loans. With the Fed raising rates, it remains to be seen whether banks can hold the line on interest for deposits. One reason for optimism is that clients are increasingly using their deposit accounts to cover payments rather than as a source of income. At Bank of America low- or no-interest checking accounts make up almost half of consumer banking deposits. And the average checking account has swelled, from $5,000 in 2014 to $7,500 in the first half of this year. Even if peers and online banks raise their deposit interest rates, Bank of America is hoping its vaunted mobile app will keep clients loyal and attract new ones. “They were first-to-market with a really integrated offering,” says Morgan Stanley’s Graseck. Two years ago, Bank of America unveiled a mobile feature that allows clients to access an ATM with a smartphone in case they leave their debit cards at home. The bank is ahead of rivals in getting clients to use Zelle — the fast-growing peer-to-peer payments app — and now accounts for a quarter of all Zelle transactions among the more than 60 banks sharing the service. The newest star on Bank of America’s consumer high-tech roster is Erica, an AI-driven, voice-enabled virtual assistant. Maybe there’s not a big difference between clicking twice on a smartphone to get your checking balance on-screen and asking Erica instead. But it’s a lot quicker to ask Erica how much you spent using three different credit cards at Bergdorf Goodman last month. With 3,500 “digital ambassadors” roaming bank branch lobbies to promote it, Erica has gained more than a million users since its rollout last March. Besides the digital gadgetry, Bank of America entices consumers through a rewards system that can earn them basis points off residential closing costs and auto loans. Much as with an airline mileage program, clients qualify for rewards by holding higher balances in their deposit accounts; running up payments on their Bank of America credit cards; taking out mortgages of more than $250,000; and using Merrill Edge, the bank’s fast-growing online discount brokerage service. THE EMERGENCE OF CONSUMER BANKING as Bank of America’s sweet spot has prodded the other divisions to herd their own clients over to consumer products and services. It’s easy enough for the corporate division to have business clients suggest to their employees that they might want to move their accounts over to Bank of America, especially if there are branches near their workplaces. But it can be a tougher proposition for Merrill Lynch to convince its brokers and their high-net-worth clients to do the same. In August, Andrew Sieg, head of Merrill Lynch Wealth Management, was in Alexandria, Virginia, meeting with 100 of his managers — each responsible for about 150 brokers — to talk them through the new strategy. It was the third of four such manager groups that Sieg was addressing, and it felt a bit like Groundhog Day, he jokes. That means coaxing Merrill clients to transfer their JPMorgan Chase mortgages, Wells Fargo checking accounts, and Citigroup credit cards over to Bank of America. This used to be known as cross-selling, and banks vaunted their high cross-selling rates to analysts and shareholders. The term, and the practice, fell out of fashion a decade ago because many clients either felt they were being sold products they didn’t want or preferred to spread their assets among several financial services firms. But according to Bank of America, citing surveys by the Phoenix Wealth & Affluent Monitor and PricewaterhouseCoopers, clients nowadays increasingly prefer the convenience of having all of their financial needs serviced under one roof. Technology has been a catalyst for the changing attitudes: The mobile app allows clients to instantly track all of their Bank of America financial activities. “People are being conditioned to the idea of products and services that are more integrated and easier to use,” notes Sieg. But this trend has increased demands on Merrill financial advisers, who are used to dealing only with investment returns. Now clients are also pestering them about checking accounts, credit cards, and mortgages. There has been pushback from some Merrill financial advisers who prefer sticking to wealth management, especially for high-net-worth clients. Last March a team of Merrill brokers left to start their own boutique firm — part of an industrywide phenomenon. According to Cerulli Associates, a research firm, independent brokerage firms already control more wealth management assets than Merrill Lynch, Morgan Stanley, UBS, and Wells Fargo combined. HAS THE PENDULUM at Bank of America swung too far toward consumer banking? It’s a question posed by a few veteran observers, who point to the disparity in loan growth between the consumer division and Bank of America overall. In the second quarter of this year, consumer lending expanded by 7 percent over the same period in 2017, whereas the bank’s total lending rose by only 2 percent. “The net effect is that Bank of America has positioned itself for one type of market — and it’s not one that will always do as well as today,” says Richard Bove, an analyst at investment firm Hilton Capital Management, who has hardened after covering several credit cycles. In the longer term, Bank of America could also be vulnerable because of its dependence on the domestic market — which accounts for 86 percent of total revenues. In the aftermath of the crisis, the bank reined in its global ambitions, closing wealth management offices abroad and selling off credit card businesses in Canada, Great Britain, Ireland, and Spain, along with a multitude of private equity investments. For now, Bank of America’s relentless focus on the U.S. market is paying off. With events in Argentina and Turkey rattling emerging markets and Brexit creating uncertainty in Europe, more globally exposed banks like Citigroup and HSBC have seen their share prices slide. Even if growth rates in the U.S. and international markets converge, Bank of America executives insist, there are no plans for retail expansion abroad because locally entrenched banks — like Itaú Unibanco in Brazil and BBVA Bancomer in Mexico — have built insurmountable efficiencies. Besides, there is plenty of opportunity for growth in U.S. consumer banking over the next five years, according to Moynihan, who expects to remain at the helm beyond 2023. 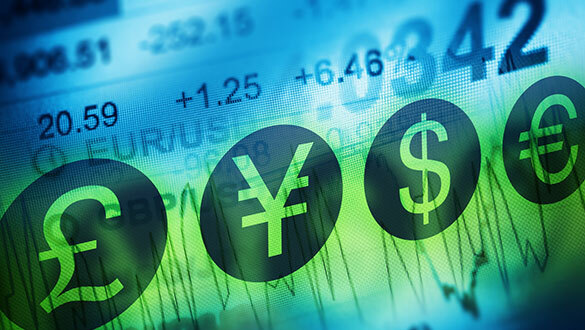 He predicts that the trend toward paperless and cashless banking will continue. But his main takeaway remains the same as it has been over the past several years: Don’t try to push digitization on clients too aggressively. “It will all depend on how quickly consumers change over time,” Moynihan says.